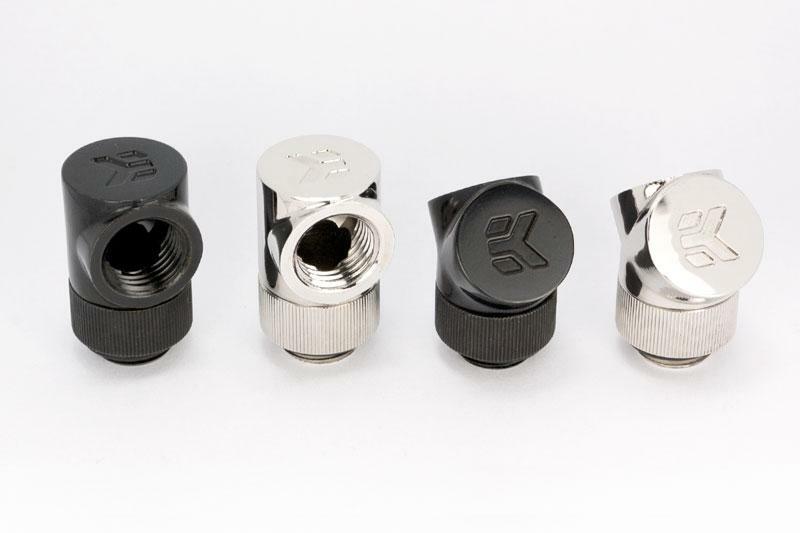 EK Water Blocks, Ljubljana based premium water cooling gear provider, is proud to present the first fittings from our latest EK-CSQ connector fitting line-up, more precisely the EK-CSQ Adapter 90° and EK-CSQ Adapter 45°. Adapter allows connection of any standard G1/4" threaded fittings to extend tubing possibilites in your water cooled system. These revolvable fittings adaptor come in three flavours – Nickel, Black Nickel and Black – and are readily available for purchase through EK Webshop and our Partner Reseller Network. More EK-CSQ fittings and fitting adaptors will be available in the upcoming weeks! Please note that all CSQ design fitting adapters are hand polished and rounded after casting process therefore minor geometrical imperfections are to be expected.